With his portrayal of the American flag, Johns revolutionised the American art scene and became, along with Robert Rauschenberg, a forerunner of pop-art and minimalism. The Museum of Modern Art bought three of his works as early as 1958 when he had his legendary first solo exhibition at Leo Castelli’s gallery in New York. Ever since, his works have been fetching record prices on the art market. 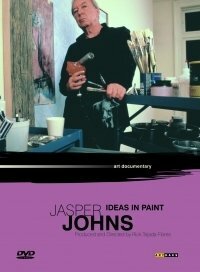 The film gives an overview of the unique artist, his working methods, his aims and his career. Furthermore, it's not only Johns himself who makes an appearance, but also critics, curators and people from his entourage, such as John Cage, Merce Cunningham and Castelli.